The co-taught science 6-8 class is learning about energy. Along with readings from the textbook, we have been doing really interesting hands-on experiments learning about sound, a form of energy that travels as waves. We used tuning forks to see how the vibration, when hit on the countertop, will transfer to water. 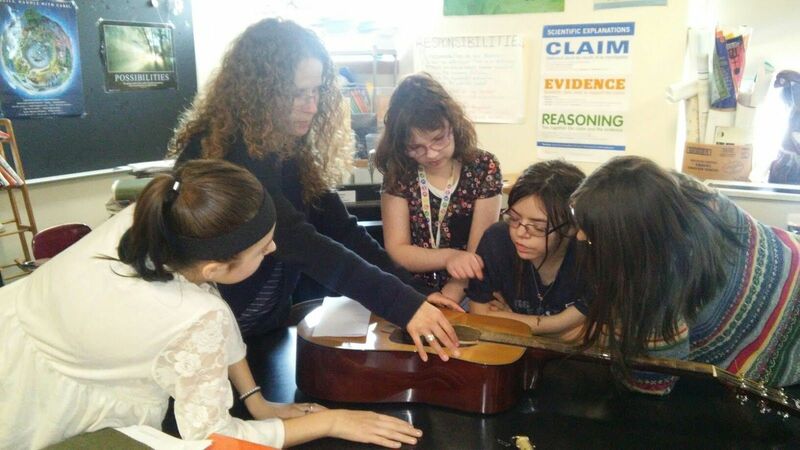 Mrs. Lener also brought in her guitar to show us how the vibrations on the strings produce sound. After the investigation, we were all happy to hear a song played...and sung…by Mrs. Lener.